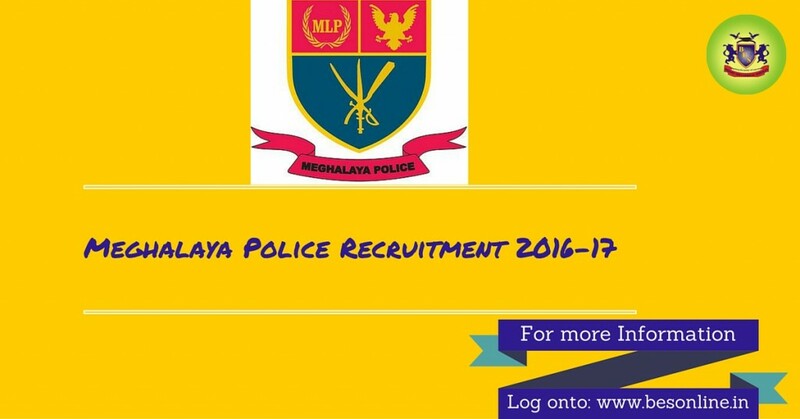 Meghalaya Police is inviting applications under five categories – UB Sub Inspector, UB Sub Inspector, UB Group, AB Group and Follower Group. For Schedule Cast/ Schedule Tribe (SC/ST) there’s an age relaxation of 5 years. Meghalaya Police Recruitment application forms are made available at the offices of all District Superintendents of Police and Commandants of MLP Battalions and Principal, PTS Mawroh, Shillong. A payment of just Rs 50 is to be paid as application fee with the submission of applications. Candidates need to send application to the Office of the DG Prisons/ Addl Director General of Police, (TAP) & Chairman, Central Recruitment Board (CRB), Meghalaya, Shillong between 15th of March 2016 to 15th of April 2016. For any admission related queries please get in touch with Bright Educational Services, call at 9564733330. Bright Educational Services (BES) is a well-known educational management consultancy which can solve all your problems and queries regarding admission, jobs, placement, career, college quality and many others. We advise and counsel students and also provide them unbiased information about various colleges. We give guidance on various exams available for admission to the top colleges. We give you proper suggestion and tips to crack those exams. We can also arrange admission for the students who hasn’t scored well in the entrance exams. We have tie-ups with various technical universities where students can pursue their engineering degrees through distance course. You name a problem we have a solution for it. Please call us at 9564733330 for a free counselling session!